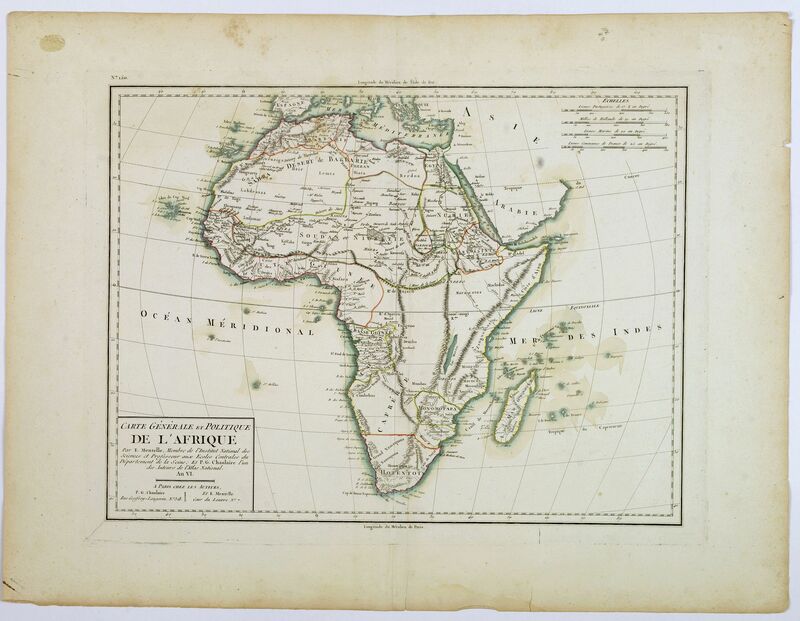 Old map by CHANLAIRE -Carte Generale et Politique de L'Afrique. Publisher: CHANLAIRE, P.G. 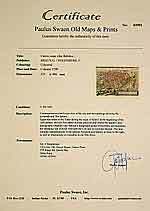 / MENTELLE, E.
Title: Carte Generale et Politique de L'Afrique. Size: 12.6 x 16.5 inches. Condition: In good condition, lightly age toned, with a small split next to lower centerfold, some marks and water stains etc. Marginal nicks and small tears. Good impression, large margins. A French republic map of Africa, from the Atlas National, published in Paris in the last year of the eighteenth century. The map highlights numerous mountain ranges, lakes and rivers, regions, countries and places (where known). Small parts of southern Europe and the Middle East shown. Plain box title.